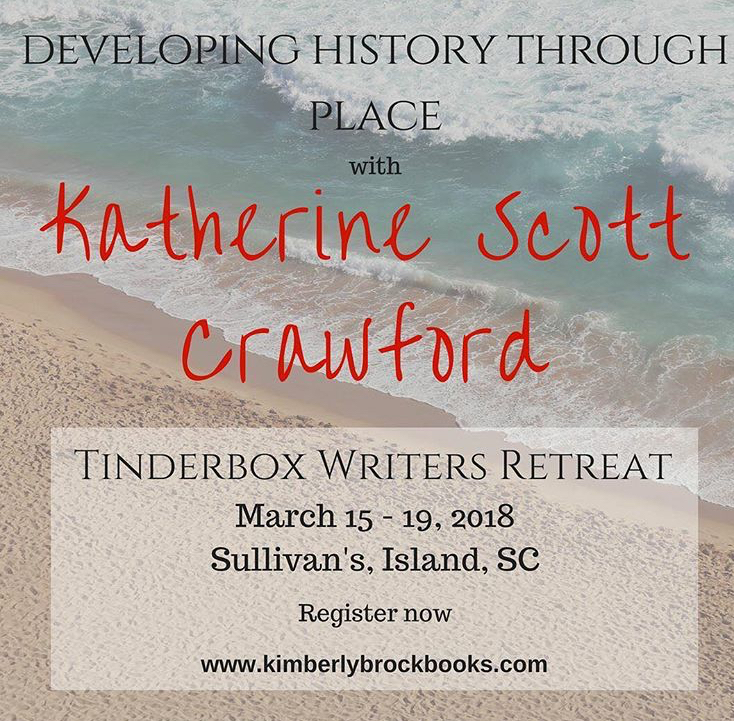 I’ll be teaching a workshop on “Writing History in Place.” But there are other workshops, too–plus time, space, and quiet in which to write. Sounds like heaven, doesn’t it? There are two spaces left, so women writers considering investing in your craft, check it out at www.kimberleybrockbooks.com. This entry was posted in Uncategorized and tagged amwriting, artists residency, author, beach, Charleston, coast, creative writing, creativity, generative, Katherine Scott Crawford, Kimberley Brock, Lowcountry, quiet, retreat, SC, Southern writers, Sullivan's Island, vacation, women writers, workshops, writing, writing retreat. Bookmark the permalink.